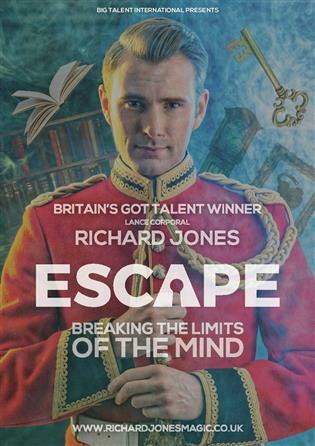 Magician, soldier and Britain’s Got Talent winner Richard Jones comes to The Customs House as part of his nationwide tour. During this tour he’s bringing something new to the table – meaningful magic which he can’t wait to unleash on public. He’ll also be performing his classic mind-blowing tricks from Britain’s Got Talent. Combining his experiences and training from the Army with his love for magic and illusion, this show promises to be unique and unmissable. Why not upgrade to a VIP package? The VIP package includes a Meet and Greet with Richard (approx 20 mins), a signed photo and the best seats in the house.